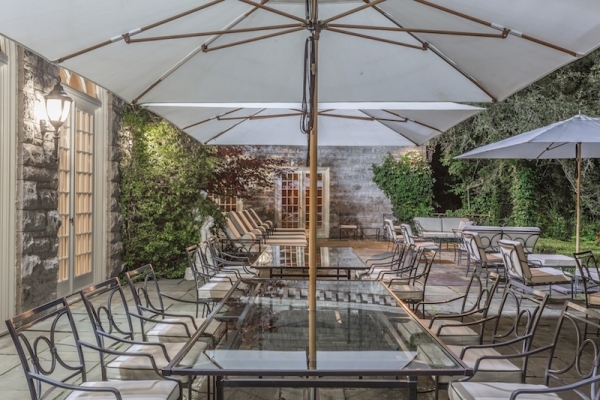 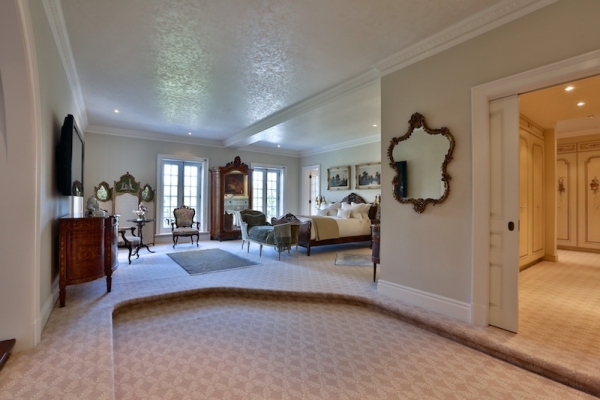 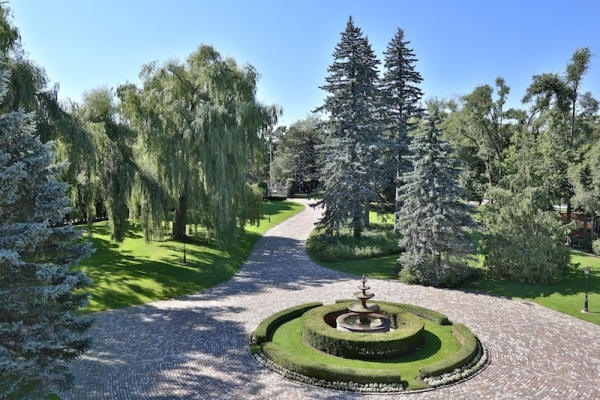 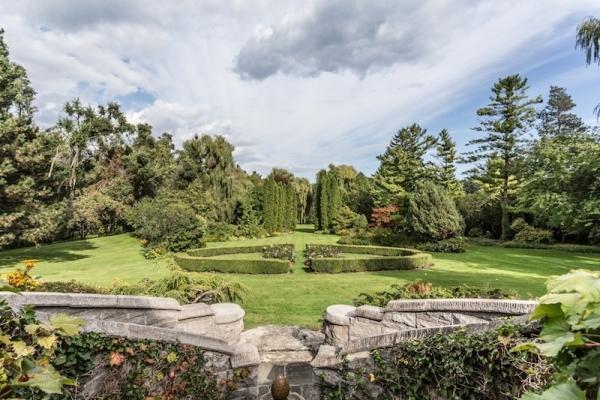 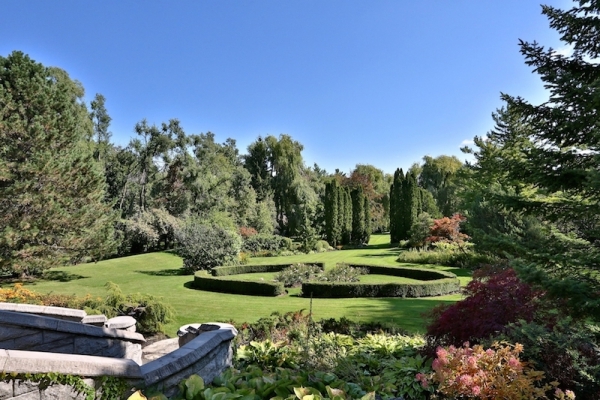 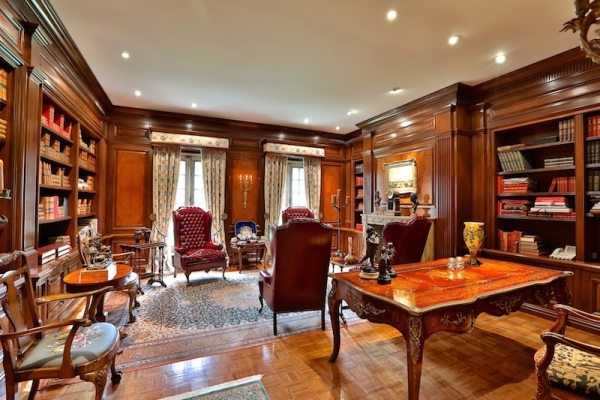 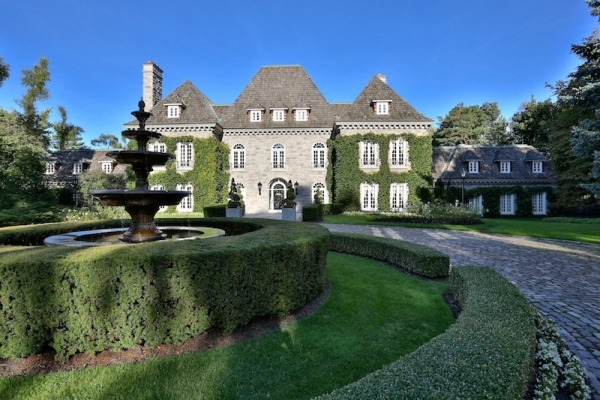 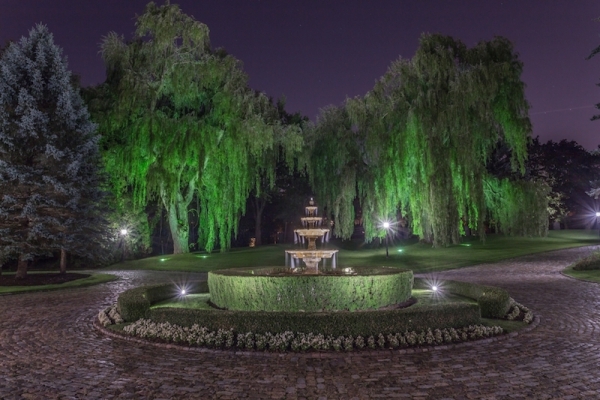 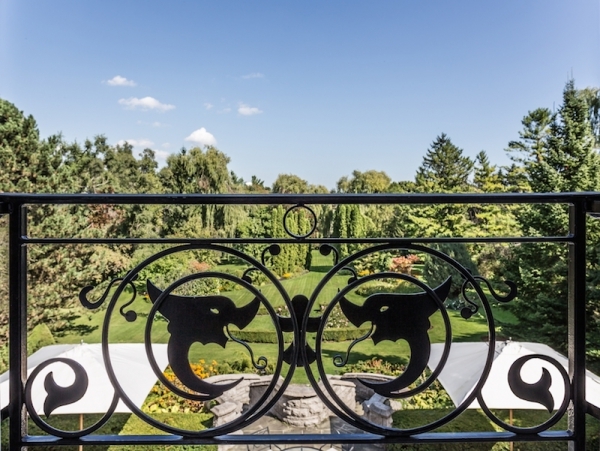 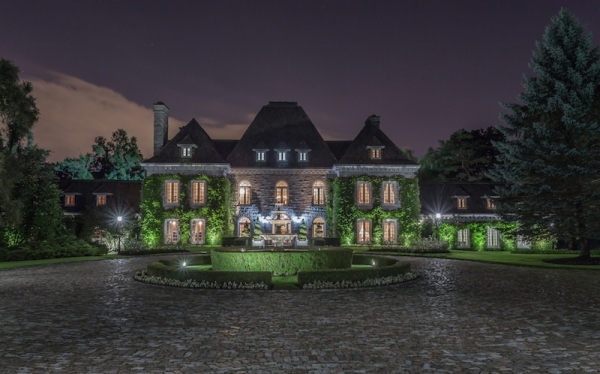 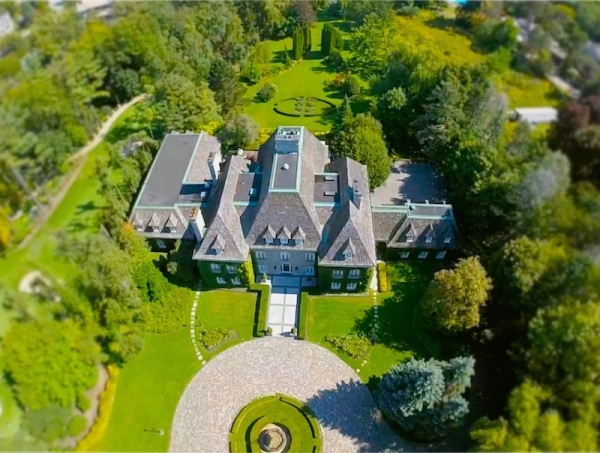 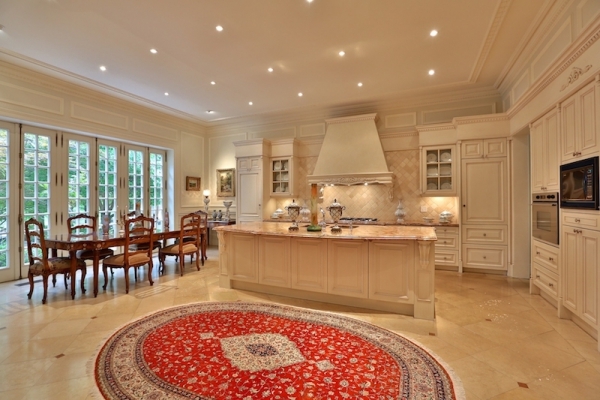 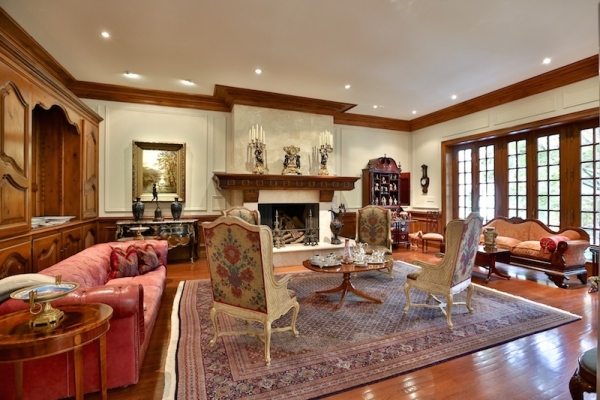 Carved in the uber-pomp of a French chateau, this luxurious mansion in upscale Bridle Path, Toronto is an amalgamation of the very best money can afford. 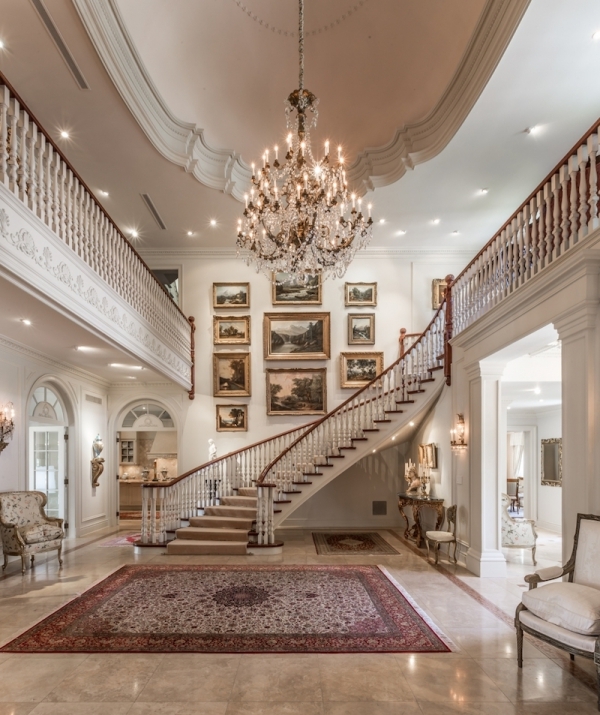 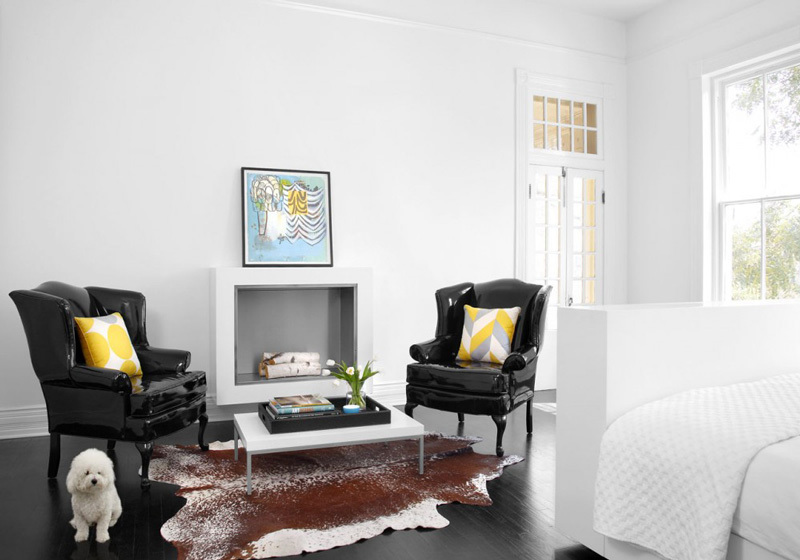 Every element, detail and corner of this property is showered with attention and effort to arrive at an extravagant home with all the modern luxuries and dollops of old-world charm. 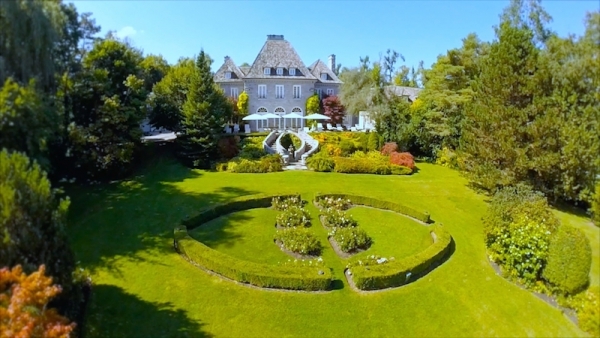 The mansion houses ten lavish bedrooms and fourteen bathrooms, and is set on four acres of beautiful gardens and landscaping. 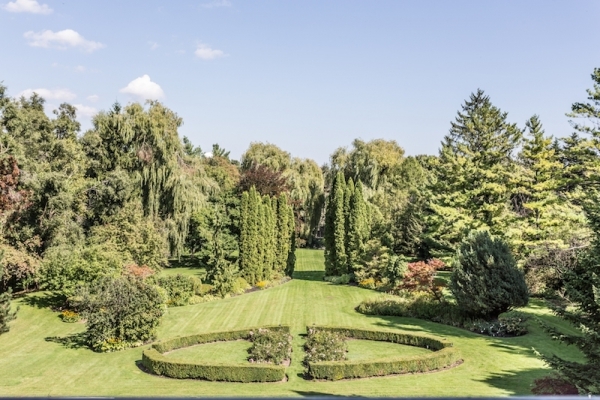 Inspired by the designs at Versailles, these gardens, manicured table lands and glorious fountains have been brought together by landscape designer Ronald Holbrook to create an equally grand outdoor complement to the opulence of the building interiors. 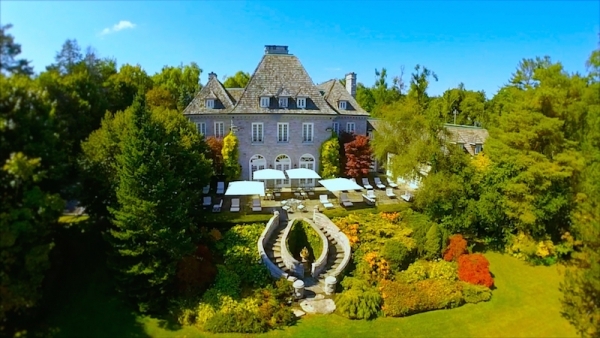 The interiors keep with the French theme and incorporate European hand carved mantles, gilt bronze chandeliers, French doors and seven wood burning fireplaces within the stone mansion. 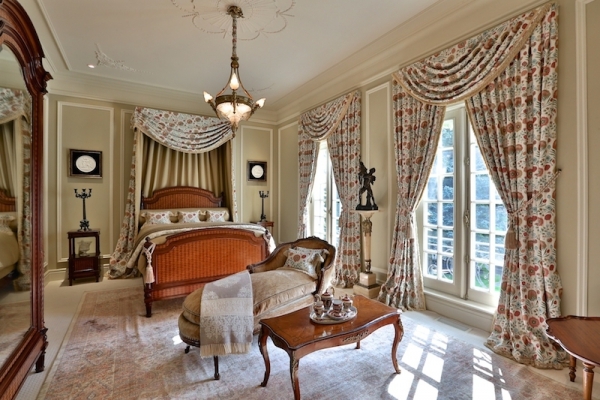 Polished flooring and gilded details add that touch of delicate luxury which pairs up beautifully with the plush, inviting furniture styled in the traditions of French royalty. 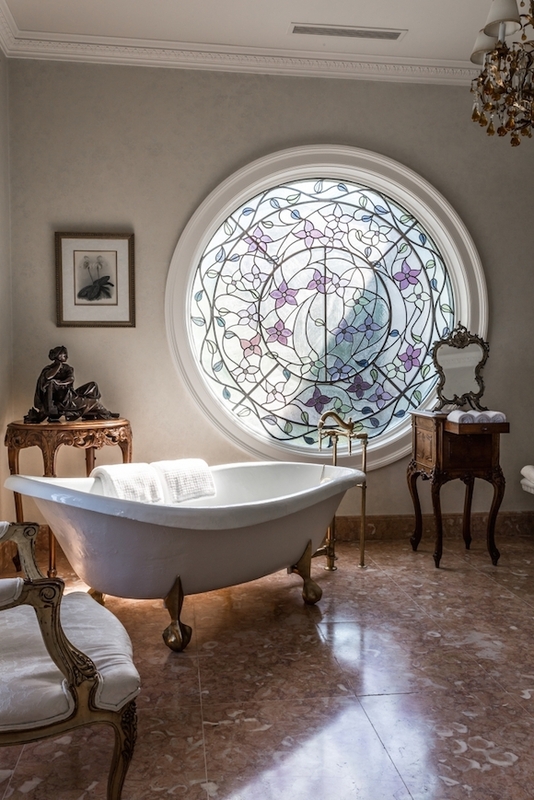 But this luxurious mansion isn’t just bare extravagance; there are some stunning moments of decor design here – the circular stained-glass window in the bathroom, for instance, totally wins us over. 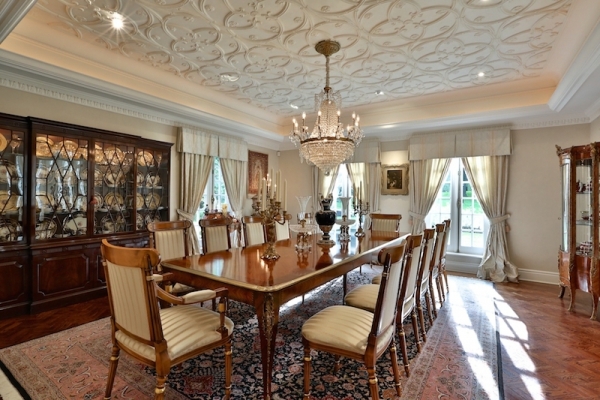 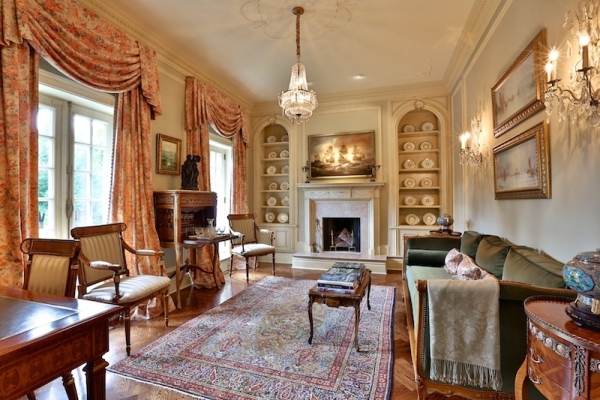 This mansion does its inspiration at Versailles proud. 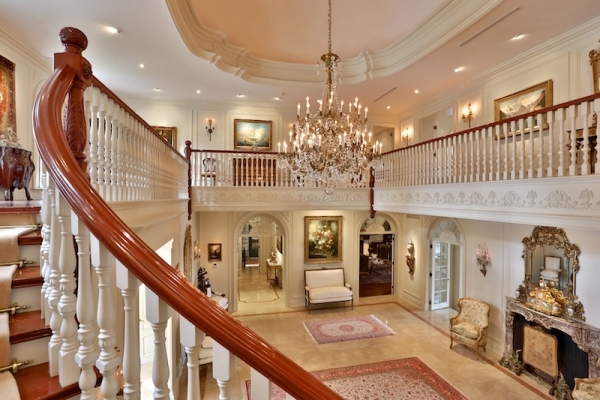 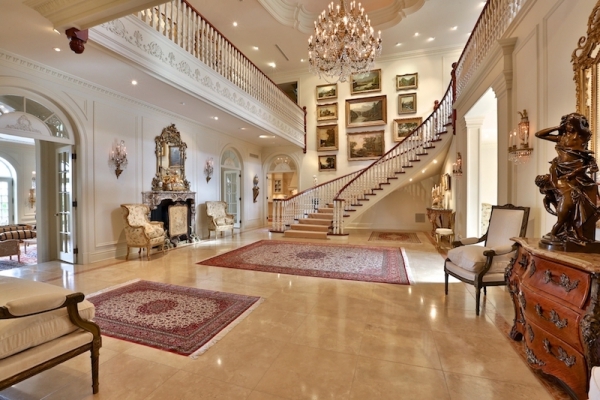 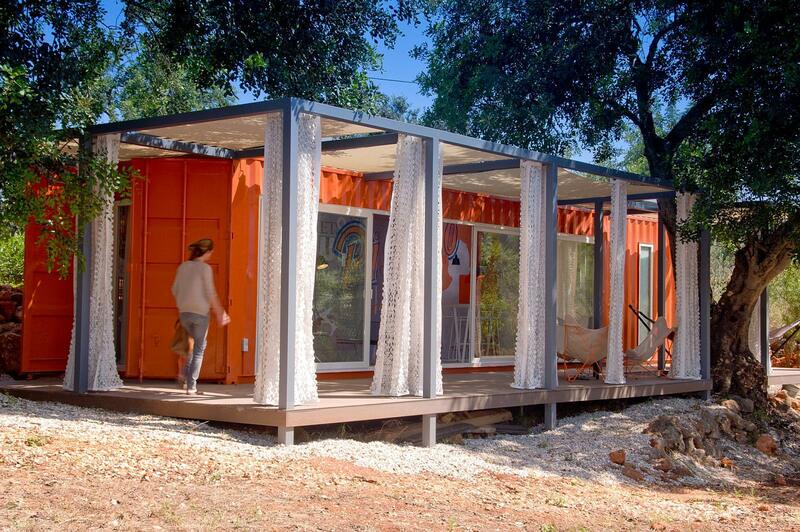 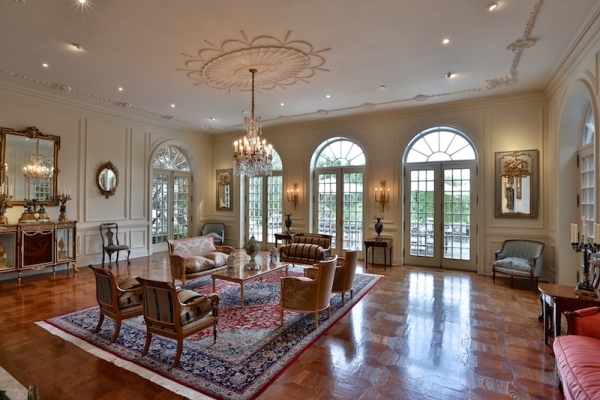 We feel Louis XIV would be impressed with this property inside and out.